Flying Music in association with Adrian Grant are proud to present THRILLER - LIVE, a spectacular, high octane show celebrating the career of the world's greatest ever entertainer - the King of Pop, Michael Jackson, and the Jackson 5. Established in 2006, THRILLER - LIVE moonwalked into the West End after three acclaimed UK tours and standing ovations across Europe. 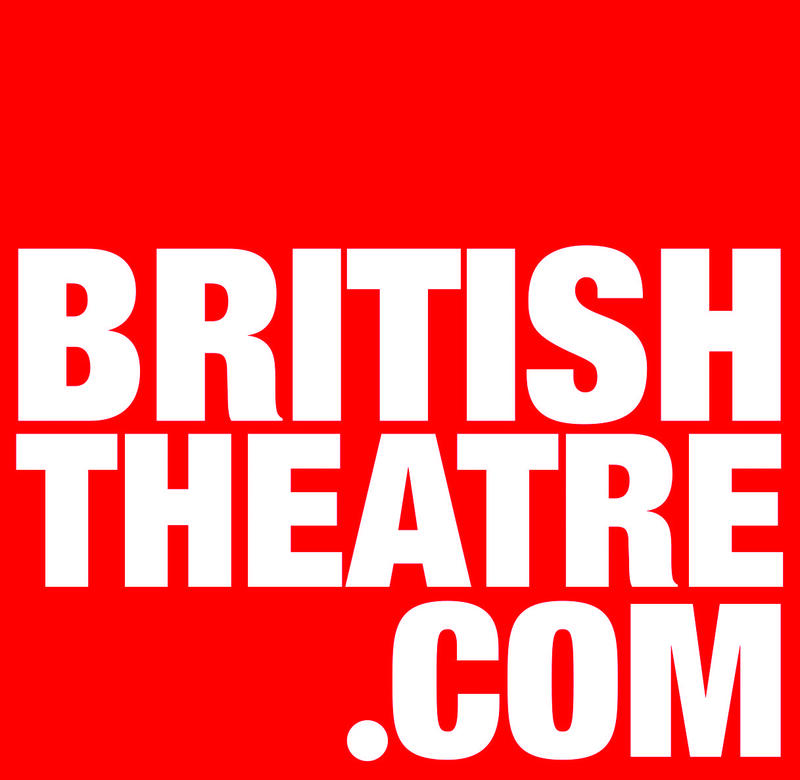 It is currently playing at the Lyric Theatre, as well as simultaneously touring the UK and Europe with two other first-class productions. To bring to life on stage the sensational dancing and distinctive sound of Jackson's greatest hits, THRILLER - LIVE includes eye-popping multi-media effects and dazzling choreography by the shows award-winning director Gary Lloyd (who has previously worked with artists including Leona Lewis, Will Young, Robbie Williams, and Girls Aloud), plus additional choreography by 5 time MTV award-winning LaVelle Smith Jnr. THRILLER - LIVE includes over two-hours of non-stop hit songs delivered by an exceptionally talented cast and live band, including the smash hits: I Want You Back, I'll Be There, Show You The Way To Go, Can You Feel It, Rock With You, She's Out Of My Life, Beat It, Billie Jean, Earth Song, Thriller plus many more! The new cast features Charlotte Berry, Vivviene Ekwulugo and young MJs Giles Corden and Christian Posso. mThe rest of the cast compromises of David Jordan, Stefan Sinclair, John Moabi, Haydon Eshun, Alex Ko, Cordell Mosteller, Reece Bahia, Shakara Brown, Ella Coghill, Aisling Duffy, Ella Redhead, Sophie Usher, Emma Smith, Jorgia Vaughan, Brett Baxter, Peter Cleverley, Jamal Crawford, Joel Ekperigin, Jamie Mason, Florivaldo Mossi, Ashley–Jordon Packer, Aled Arhyel Charles,Marcellus Virgo Smith, AndreFaulds, Iasiah Mason. 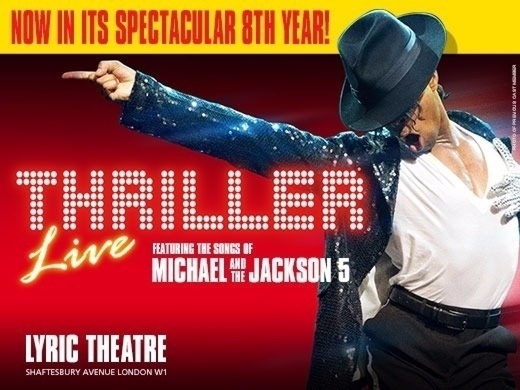 On 15 February 2018, Thriller Live - the spectacular concert-style show that celebrates Michael Jackson’s enduring musical legacy and ground-breaking dance moves - will overtake Jersey Boys to become the 14th longest running musical in West End history. On 19 August, 2018 the show will celebrate its 4000th West End performance. You will receive a confirmation email with your booking reference. If you choose collect at box office please print this and bring it with you on the day of the show a minimum of 30 minutes before the performance start time. Fantastic show well worth the expense,at times it could of been MJ actually dancing & singing,loved it so much would book again. This show was absolutely brilliant the cast were amazing and the music and songs that we all know were sung brilliantly! The portrayal of Michael Jackson was incredible and, the whole audience were on their feet and joining in fantastic show ! Such a fun night and feel good atmosphere! To be absolutely honest was sadly disappointed as the main look -a -like Michael only covered & danced to about 1/4 of the songs while other cast members did the rest!! Energetic dance group but the stage settings were very limited compared to say Phantom of the Opera (there was a stair case & platform tho') It reminded me of a school show! Amazing, such a great show. Loved it. Really spectacular to watch and be part of. Recommend for all MJ fans. I did burst in tears few times of how amazing this show was. I sat in the the first row and the show was absolutely amazing. I will definitely be going again! It made me want more! Great cast, great format! The energy was fantastic. The music really did speak for itself! No need for long scripts or storylines. every piece of music within the first first notes were easily identifiable. I saw the show in 2009 (Jan) & March 2019 and I can honestly say the show doesn't age at all! The energy and music felt fresh and the performers did show they loved what they were doing - well done! A trip across 4 Decades of Michael! Such an amazing show with astonishing vocals and dancing! They do not miss a beat or a song that you expect to hear! Dazzling, engaging and entertaining the whole way through. Could not stop dancing in my seat! Loved it!!!!!!! Was quite disappointed to watch thriller last night at the theatre, expected more of a story instead got he's wonderful music, but felt we were watching it in a local pub by impersonators. Other theatre production such as Tina Turner the musical and Dreamgirls is much better so save your money! Very exciting show! Different ways of show Michael's musical history!! Very good! All awesome performances!! I absolutely loved thriller live everything about it was brilliant everyone who was in the show was outstanding. The singing and the breakdancing was fascinating to watch I enjoyed every minute of it the best thing about it is that I was sitting in the front row of the stalls. I would highly recommend this show to everybody it’s a must see show that you won’t regret seeing. To cut a long story short, this was an excellent performance and well worth seeing if you’re a Jackson music 🎶 fan. I’m not particularly a fan, but this was to celebrate my wife’s birthday and I thoroughly enjoyed my experience as did she. Amazing show, highly recommend. Will be back again in a few months but will get better seats next time to see the whole stage! It was a wonderful feeling seeing the que down the street to get into thriller live. Inside is a beautiful classic style theatre. On stage is a modern wonder. A selection of hits by the jackson 5 and michael jackson. Followed by some explosive choreography all recognisable as the king of pop's signature moves. With some fantastic facts along the way provided by the cast. All performaned to a brilliant standard. MJ would be proud. Florivaldo Mossi stand out like a burning star. His interpretation of michael was magical. Channeling the legend from beyond the grave. It was breath taking. The house was packed and the buzz was electric. In the end the whole audience wad on its feet dancing to the hits that have inspired so many. A beautiful tribute a magical performance. Here'sto 10 more years. Non stop hits. Great entertainment and such talent by all. Absolutely brilliant. Second time I’ve seen this. 4 singers who sing the songs and they are just amazing. The look alike Micheal Jackson with his moon walking was just incredible. Went with my teenage sons against their will and they were blown away at how fantastic it was. It’s 2 hours of non-stop exhilaration! For any MJ fans this is a must. Music was fantastic and the dancers where amazing. Great fun show that was over far to soon. The dancers and singers were all so fantastic a real tribute to a music super star , enjoyable , fun and but with meaning and so great to watch so much talent on stage . We were visiting from the US and seeing a show in London was top in our list. Thriller did not disappoint! Wonderful venue loved the quaintness and beauty of the interior. Show was phenomenal! Great mix of old and new hits. Great job!! Booked for my husband’s birthday as loves Michael Jackson. 2nd time we have seen and we loved it! Loved getting involved and singing along. A great evening. I loved every micro second of it. I've seen it twice and planning to go see it again. This was amazing, a great show honorifying the King of pop! My son and I loved the singers, the dancers, and Michael Jackson ! A fabulous moment ! The show was excellent. High energy from start to finish, fantastic singers and dancers. Utter brilliance the whole crew including dancers. The hits just keep coming and we cannot help but tap our feet and jig along in our seats. A great tonic in these gloomy days.